In the year before Mark's death in 2015, she visited Tiny one last time, and was able to document Tiny and her ten children surviving as a family. Tiny was completely sober and struggling to move forward through the difficulties of her life. 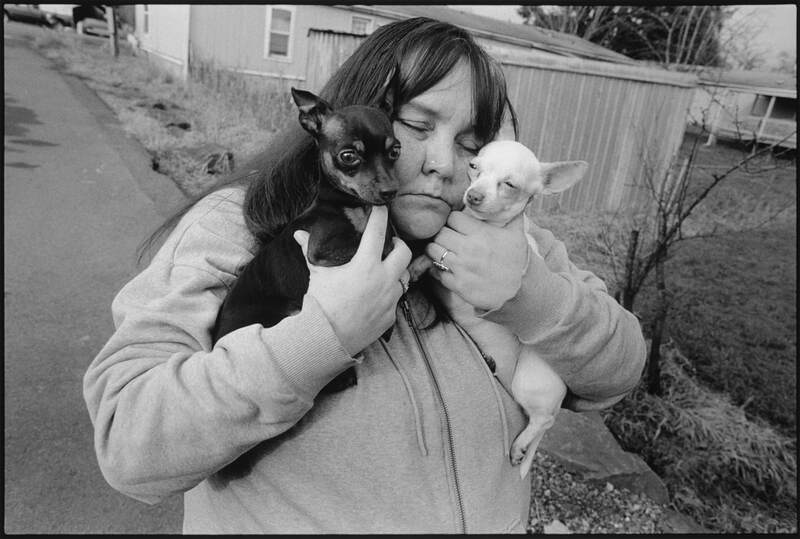 In Mark's photographs, the harsh realities of Tiny's struggles on the street are juxtaposed with the love and determination with which she has tried to raise her children. The Museum of Street Culture is located in Encore Park in the heart of a historic area of downtown Dallas, flanked by the Farmers Market, City Hall, and the Main Street District. Pioneered by The Stewpot of First Presbyterian Church of Dallas and formally established as a non-profit organization in 2013, Encore Park is a community of social and cultural services located on the south side of Young Street and on the east and west sides of the 500 block of Park Avenue. Encore Park brings together people of all cultures and faiths through dialogue, education, service, music, and art in the pursuit of abundant life, building community at the crossroads of creativity and caring. The Museum of Street Culture engages all areas of Encore Park, including The Stewpot, the 508 amphitheater, 508 Park, Community Garden, and 515 Park.